Looking for a great gift for your favorite chef? Discerning home cooks will always appreciate fine cookware. We scour the globe to bring you the best culinary utensils, pots, bakeware and serving dishes available. You can be confident that any item purchased from Didiriks will surely please savvy cooks and foodies alike. Here are some great gifts in a range of price points from investment copper cookware to everyday cooking utensils. 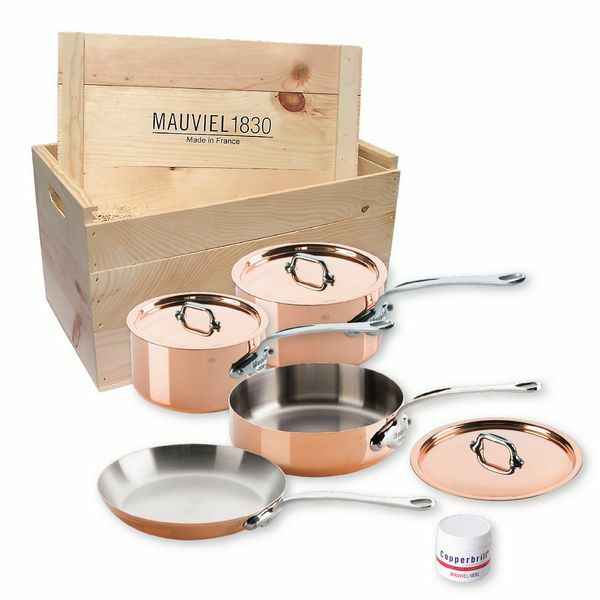 One way to upgrade ordinary saucepans and frying pans is to find cooper plated cookware, such as Mauviel. Cooper cookware can be used on gas, electric, halogen stove tops, and inside the oven. Stainless steels cooking utensils have a simple, classic look and if left visible in the kitchen, they will blend in nearly any kitchen decor. Rösle quality utensils will last a lifetime. Porcelain bakeware is always a classic. Pillivuyt Porcelain goes from oven to table with ease. Need help with holiday gifts for someone who loves to cook? Contact us, and we'll help you create a personalized gift set.